I’m grateful for the opportunity to spent this past weekend with so many amazing women and the few amazing men sprinkled in our group. I attended the 2X4 Live event in Nashville. We spent 2 days with 4 mentors and each other. This weekend was so worthwhile for me. The energy and support was palatable. I have ideas and a direction I want to move in personally and professionally. The internet is a wonderful thing, and I’m grateful it connects me with people in other parts of the country. To actually be able to meet physically with people I’ve only known online was such a treat. I’m grateful for the amazing food in Nashville. Pulled Pork, Shrimp and Grits, Sweet Potato French Toast, and Jack Daniels Chocolate Chip Pecan Pie! I’m grateful Lorrie Morgan was playing at the Grand Ole Opry and I was able to get tickets to see her perform. I’m grateful for the new phrases I learned from Holly Port of Lotion Bar Cafe, Miss #makeitfizz herself. Son of a Biscuit Cutter. She’s a real Batch of Cookies. And the classic, Shut the Front Door! I’m even grateful we were delayed at the airport in Nashville since it gave me more time to spend with friends. “Well butter my buns and call me a biscuit” was my favorite expression I learned while in Tennessee. 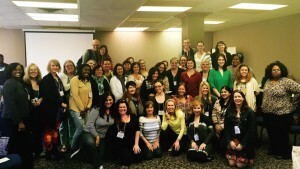 Had such a great time with a fabulous group of entrepreneurs. Can’t wait to get home and put the learning into action. Thanks to the fearless foursome who put 2×4 live together for us. That’s a great one Kelli. Thanks for sharing and thanks to the fearless foursome! I wish I could have been there. Looks like you had a great time. Donna I’m already planning to attend next year. I hope you can make it, it was well worth the investment. “Well butter my buns and call me a biscuit,” is my favorite new saying. It was so great to be with you in Nashville, Angela. I missed the Grand Ole Opry this time, but am so glad that you found some time to enjoy the beauty of the city while you were there. Thank you for sharing this post about the fun we all had! Even when we’re working hard, there’s always time for fun. Thank you for being part of the team that put this weekend together Donna Maria. I’m already looking forward to next year! Angela was so great to spend time with you! Yes Sweet Potato French Toast was awesome. This was such a great event and all the wonderful women where we built such a great community to help us all lift ourselves up! It was so good to see you again Marilyn! Looking forward to next year. It sounds like such a wonderful weekend! I would have loved to be able to attend. How great it is to be grateful – it makes life so much more pleasant when we appreciate all that we have. It sure does Nichole. Gratitude changes our attitude. I hope you can make 2X4 Live next year.